So I head down and wait ... for a while ... the tour is now 25 minutes late. Hmmm ... I head back upstairs to check, and am told they might be stuck in traffic. OK, so back downstairs ... it's now 45 minutes late, so I head up once more and reception calls the tour company - apparently there was some sort of mistake. I suspect what happened is that they showed up just before I came down and simply didn't wait, leaving immediately. At breakfast, one girl quickly glanced at her watch at 8:20 and ran off, leading me to believe that she was also on the tour. Her reaction clued me in a bit, so I went to grab my day pack, seeing the girl at reception as I passed by. She was gone by the time I returned, and that's when I asked about going downstairs. I got down there no more than two minutes after her, so I surmised that the bus was already waiting, and left as soon as she hopped on board. So disorganized .. why not pop upstairs and check if people are late, when you have a pre-paying customer? And doesn't your paperwork show that two people are booked? Reception called the tour company, and they suggested I catch a local bus to Porto de Galinhas, and come back with the tour bus. Uh ... kinda defeats the purpose of a tour, doesn't it? I instead asked if there were some other tours offered today, and was given the option of a city tour - no thanks, already did that yesterday, and didn't feel like there was anything else to see in Recife. Then the tour company suggested I take a bus to the airport and hook up with a different tour company, then return from Porto de Galinhas with the original tour company, Helitur. Uh ... sounds stupid again. Another example of this disorganization was last night - I had booked a dorm with air conditioning, happy to pay more for the luxury of a nice night's sleep without waking up in the middle of the night drenched in sweat. As with a lot of cheaper accommodations, air conditioning is only turned on during the evening when requested, which I did, returning to my room immediately after doing so, and waited ... twenty minutes later I went to the front desk asking them once more about switching it on. "We can't do it." Huh? Why not? "Because it's extra." OK ... well I did make the booking for a room with air conditioning, and the quoted price was clearly higher than for a room without. They check and in fact, no, I did not pay extra after all, despite me requesting it at the time of booking. 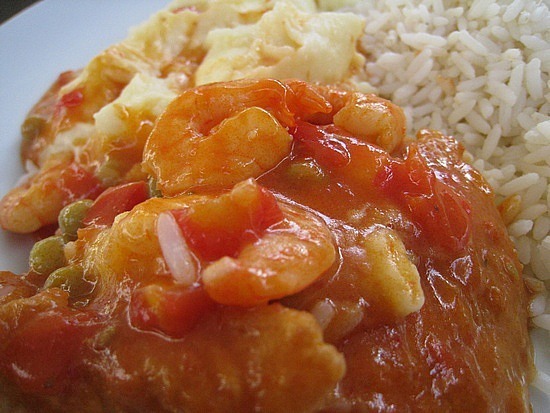 So I gladly whip out an extra five Reais and pay up. I remembered what Silvia from the Lighthouse Hostel in Rio told me, how annoyed she gets by her fellow Brazilians. But this is what's frustrating at times, like with the tour booking problems. I come out and ask for something and you say yes, but end up not doing it. Even though there was a legitimate reason for not doing it, don't you think it would've been nice for someone to come by and give an explanation for it? In Brazil, sometimes all you can do is just shake your head and forget about it, since things just don't seem to run smoothly here! Brazilians are infamous for being late and unreliable ... they operate on Brazilian Standard Time, a time zone different from any other country in the world! Though frustrating at times, one of the reasons Brazil is so fun is because it's so laid back - that means there are times when you need to take the bad with the good, as happened here today. It's the price you pay for having a carefree attitude that is often quite refreshing for a North American, who is the complete opposite of a Brazilian, in many ways. Many of us stress out over the dumbest little things, and these little incidents make you realize that there are far more important things to worry about in life. 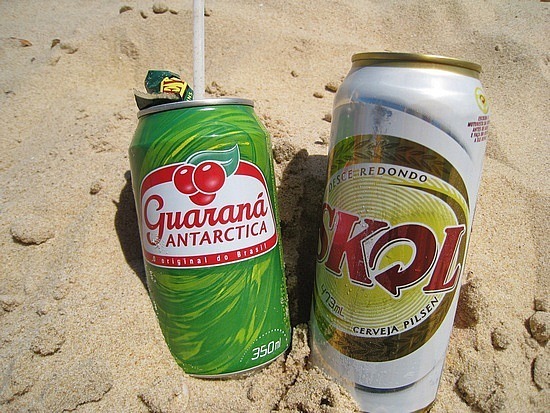 So when these kinds of things happen in Brazil, it's best just to head to the beach, grab a beer, and enjoy life! Which was exactly what ended up happening today - Boa Viagem's beach, while nothing special, is decent for a city beach, despite the fact that you can't go past waist deep for fear of shark attacks, and probably don't want to spend any time in the water anyway, since it's apparently quite polluted. Though Porto de Galinhas would've been a great day away from Recife, sitting in a lawn chair under an umbrella with a beer in hand wasn't the worst way to spend the day. 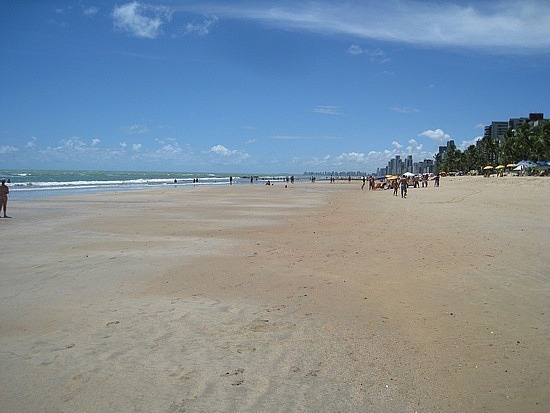 Brazilians love their barracas, these ubiquitous little beachfront establishments, and though they are never the prettiest of places and can often spoil the natural scenery, spending a day at one is definitely one of the best Brazilian experiences you can have. Brazil's beaches are fascinating places, with so many vendors selling so many types of food ... today I saw people selling acai, grilled meats, hot dogs, ice cream, oysters, shrimp, and soup, in addition to the typical drinks and salty snacks. It's great how you can grab a chair and umbrella for essentially free, only needing to buy a drink to be able to sit there all day long. 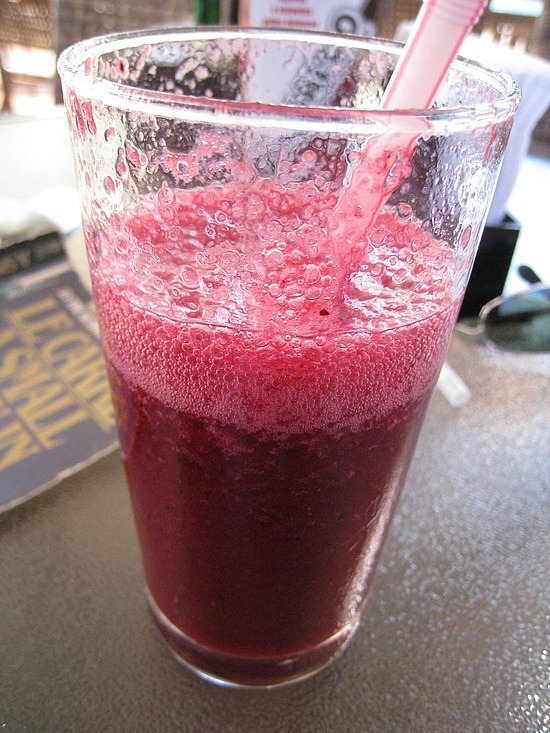 There's rarely any pressure to keep buying drinks and it's a great system, because refreshments are bought from the guy running the barraca, and food is supplied by other vendors, creating a neat little beach economy. These people definitely work hard, and earn a very honest living - these barracas provided countless families a means to support themselves. 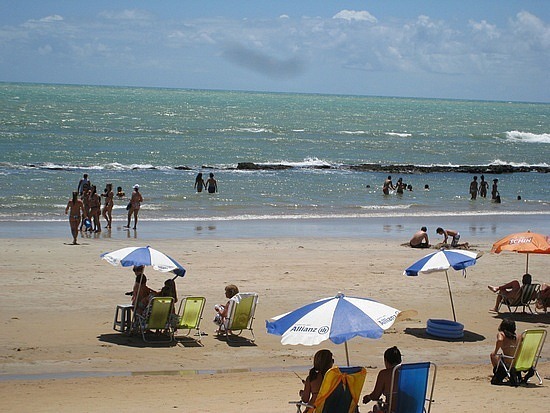 The barracas of Salvador recently made headlines when its barracas were destroyed by authorities, since they were technically illegal, because they are located on beaches, all of which belong to the federal government. The government did have legitimate reasons for doing so - the uncontrolled growth of barracas can end up being an eyesore as they spread all over the beach, and unregulated operation can result in less-than-sanitary conditions. But still ... 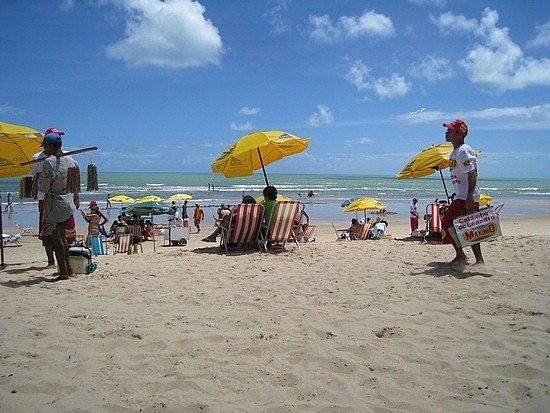 I think that most Brazilians and visitors to Brazil would agree on one thing - that a visit to a Brazilian beach just wouldn't be the same without chilling at a barraca! 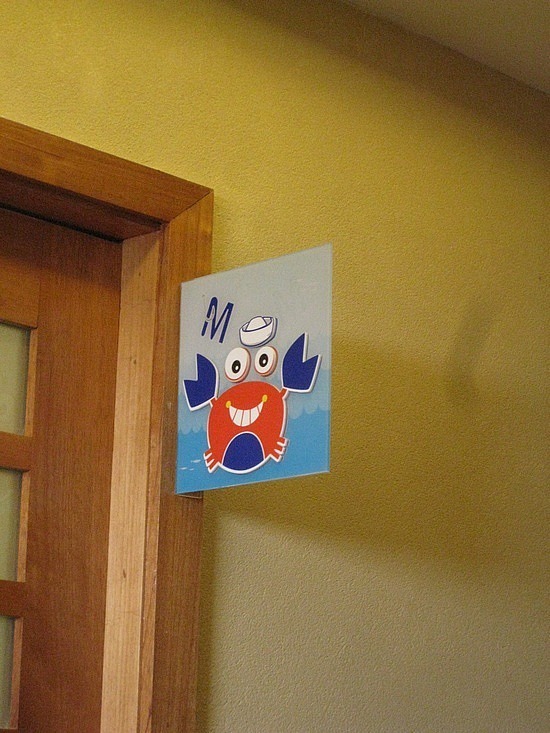 Should the Men's Room Be Associated With Crabs?? ?